How can Captain Atom do all those things with his energy manipulating powers? Time Travel, stop explosions, teleport etc. 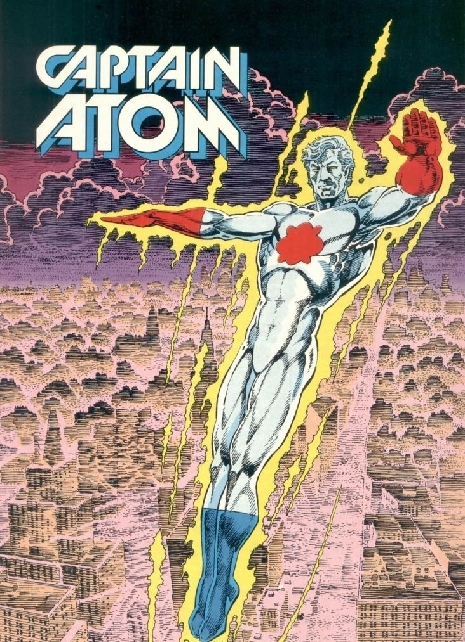 To be honest, the science of Captain Atom is a little baffling. The Silver/Bronze Age Captain Atom received his powers when he was trapped on an exploding rocket that was bombarded with “cosmic rays” (high-energy radiation). His first appearance was in 1960, a full year before Yuri Gagarin became the first man to reach outer space. 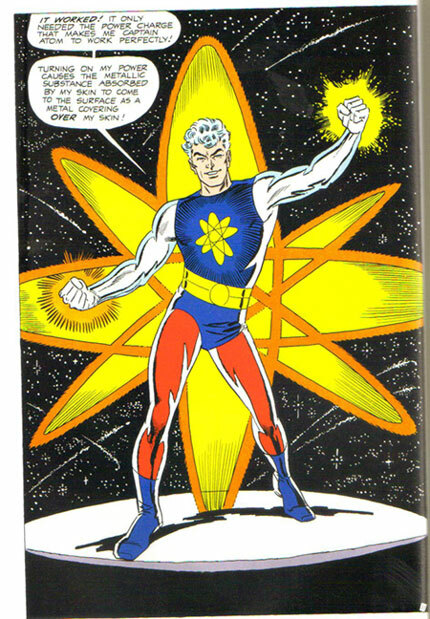 Steve Ditko and Joe Gill, the creators of Captain Atom, no doubt thought it would be cool to say that the mysterious radiation gave Allen Adam amazing abilities. In reality, he would have just died. The original Captain Atom (as you can see on this page) had a wide range of abilities that later incarnations did not. Basically, it could be summed up in one broad statement: he could manipulate all forms of energy. 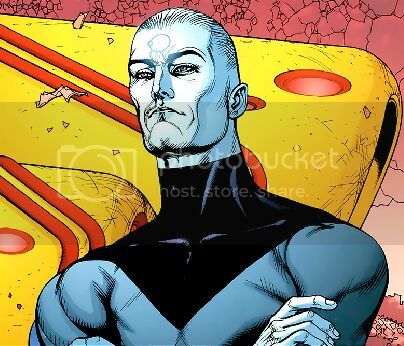 It was because of his almost godlike powers that he slowly lost touch with his humanity (as did Dr. Manhattan). At least, he lost touch according to some accounts (see the Pax Americana series and Final Crisis: Superman Beyond). When Cary Cates and Pat Broderick revamped the character in the 1980s, they threw out the cosmic rays notion and came up with something that would be less likely to be explained. Nathaniel Adam bonded with an alien metal alloy when a nuclear device was detonated under him. The Air Force was actually testing the resilience of the alloy to see if it could be used on military hardware. It was this alloy that gave Adam all his powers, which included the ability to travel forward in time. Probably his most important power is his ability to absorb energy, just as the alien alloy did. He can absorb vast quantities of any sort of energy, but he does have a limit. He first reached this limit the first time the alloy was tested. When he cannot absorb any more energy, the excess energy propels him forward in time. How far he travels is determined by how much excess energy remains. The first time, a nuclear bomb propelled him 18 years. The second time, he was absorbing the nuclear energy of a crippled submarine and was pushed ahead a week. Later, when fighting the Atomic Skull, he lost 24 hours to the time jump. Later writers expanded this ability. On the heels of Armageddon 2001, Captain Atom and Monarch were bounced all around history in the mini-series Armageddon: Alien Agenda. In Justice League: Generation Lost the power was changed again. He still got bumped into the future, but when he “burned off” the excess energy, he returned to the past. I assume that he can produce energy blasts because of the stored-up energy in his metal shell. This also can propel him through the sky probably. Again, it could all be explained away easily by saying he can manipulate all forms of energy. In real life? Allen Adam would have died in space, Nathaniel Adam would have died strapped to a nuclear bomb, Peter Parker would most likely have gotten cancer, and Bruce Banner would have been vaporized. When trying to apply science to comic books, it is probably just best to forget about it an enjoy the story. That’s what I do. Thank you. I’ll try to keep that in mind. I’m writing a story about the president receiving energy manipulation powers similar to captain atom. Any advice? Richard, drop me a line at captainatomblog@gmail.com. I’m not sure what advice I can offer, but I’ll help any way I can.